It's girl! 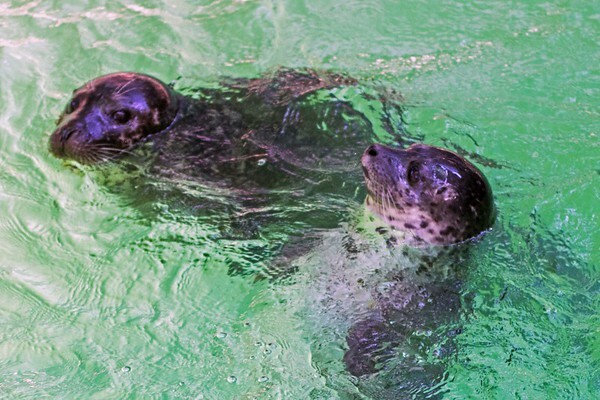 The Aquarium of Niagara has announced the gender of the first harbor seal pup in 30 years Thursday morning. The three-week-old pup, left, had its first vet visit. She is a healthy 46 pounds. There will be a naming survey on the Aquarium's Facebook page. The names to choose from are Dill, for her dad, Pickles, or Zara for her mom, Zoey.